While there are a number of effective ways to lower your costs on each package you ship, your first priority should be to eliminate avoidable issues such as losses and delays. Whether it’s eventually found or not, a lost package typically results in substantial delays and possibly having to re-ship. Luckily, there are a few easy ways to reduce your risk of lost packages — for more on delays, skip to Shipping 106. Incorrect or missing information. Ensure you have buzzer codes, ringer numbers, suite numbers, etc. You should also include a contact phone number along with the shipping information. That way, if your courier does run into unforeseen issues, they’ll be able to let you know. If everything goes wrong, your package could end up stuck somewhere without any identifying labels. One thing you can do to prepare for that situation is to place a document inside the package. 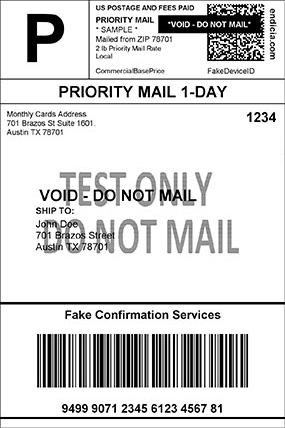 This could be a second shipping label (write void in big and bold if you do this), a piece of paper with contact information and tracking number, or anything else that would lead them back to you-more on this later. What Happens to Lost Packages? Once that’s done, the carrier will start an investigation. Some packages are delivered without being scanned, so make sure the recipient talks to the carrier to confirm that it hasn’t been delivered. Next, the carrier’s tracking team will investigate your package’s journey by looking at tracking scans, which show where the package has been. They’ll contact the managers of any location where the package could be and ask them to conduct a search. In situations where the carrier can’t identify the package’s destination, they’ll send it to “overgoods”, essentially a shipping lost-and-found. There, the box will be photographed and opened, and the contents will be meticulously cataloged. If your item hasn’t been found by this point, a trace agent will use your description to search through the overgoods database. Since so many items are in overgoods, it can be difficult for carriers to differentiate between similar boxes. For example, if you simply tell them you lost a 21-inch monitor, they likely won’t have enough information to find your specific package. The more information you give, the more likely they are to locate your box. It can take a while for packages to make their way to overgoods, so be patient. Since these are boxes without a clear destination, they’re often lost or shipped to the wrong place before being correctly sorted. For example, if a package gets misrouted from Canada to the United States, it can be over a month before it ends up in overgoods. Overgoods is the place where an “in case found” document is likely to come in handy. Even if there are no identifying labels on the outside of your box, an agent will have contact information if it’s lost, and they’ll know specifically which package is yours. You’ll hopefully never need it, but it’s an insurance policy that can save you both time and money. No matter how many precautions you take, you’ll still sometimes end up with a lost package — especially if you ship a high volume of pieces. At that point, you’ll need to submit a request to your carrier to start the search process. While this can vary slightly based on the carrier, the general process is similar no matter who you ship with. Once the carrier receives your request, they’ll start looking for your package. Again, the length of time required can vary, but you should expect somewhere between one and two weeks. If they find your package, they’ll want to know if they should deliver it to the destination or return it back to you. However, if they aren’t able to find it, things can get a little dicey. If your package was shipped with insurance from the carrier and the item is insurable, you can file a claim for reimbursement up to the declared value. Click here to learn more about how shipping insurance works. Insurance claims typically require documentation proving that the package was shipped correctly and truly is worth the declared value. Carriers may request purchase orders, invoices, or other documents. More on that in a future lesson. If you’re enjoying our Shipping Learning Center, move on to Shipping 105 to find out ways to reduce your shipping costs.